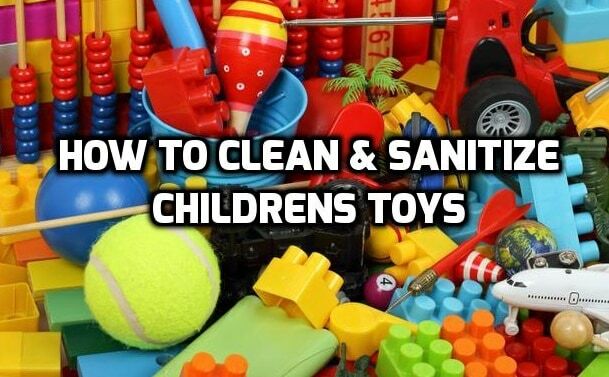 Children’s toys should be cleaned regularly, germs and viruses such as influenza can survive on the surfaces for hours while parasites such as cryptosporidium can be viable for days. Appropriate sanitation is required for the general well-being of our kids and this is even more important in childcare facilities where children who love to touch their mouths can rapidly spread whatever germs they have on their hands to their toys. This results in the spread of harmful pathogens which makes implementing a strategy for the cleaning and sanitation (disinfecting) of all toys inside a childcare facility vital. Childcare centre workers should clean hard surface toys daily to prevent the spread of infection, this can be done by using water and a PH neutral detergent. Bleach and disinfectants should never be used in a childcare centre facility since the chemicals are prohibited according to the guidelines set out by NSW Health Department unless in cases where there has been an outbreak of disease such as influenza where it would be administered by a professional under the guidance of a microbiologist. Sanitizing delicate or soft toys can be harder to sanitize since they have a tendency to absorb fluids. Additionally, they can be produced using different materials which all require different cleaning methods. Make sure you read the products care label before cleaning. Some soft toys can be cleaned in a washing machine. If this is the case, pre-treat any stains before putting it in on a cold gentle cycle and air dry (don’t put them in the dryer as this can make them shrink). Toys which are too fragile to be put in the washer can be cleaned with a solution consisting of dish soap and water. Wet a cloth with the solution and carefully rub the surface of the toy before allowing it to air dry. Odors can be removed from soft toys with baking soda which absorbs any bad smell from it. Just sprinkle it over the toy and wait a few hours before vacuuming it up. 1. Remove the batteries and set them aside in a safe area. If you need help with cleaning your children’s toys, you can always just let our cleaners know next time you book our Childcare centre & home cleaning services and we’ll get it done for you while we are there. Tips for Our residential Clients. permalink. Reliable, friendly and proactive. Everything I expect a professional cleaning service to be. I’m so glad I made the switch to Simpo Cleaning. They’ve delivered on what they promised! Simpo Cleaning are amazing. Their service is professional, punctual and they always come prepared. © Copyright 2018 Simpo Cleaning Sydney . All rights reserved.